Hello! Ciao! I'm Elektric64, but call me Elektric. HEY THERE! CLICK THAT FOLLOW BUTTON! IT'S FREE! Any animation requests? 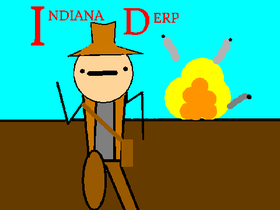 I'm doing Indiana Derp and some other in-between shorts. BTW anyone who can guess that reference gets a free follow. 30 FOLLOWERS! I guess it's Q n' A time, like I promised you. Tolkien & Star Wars Fans Unite!